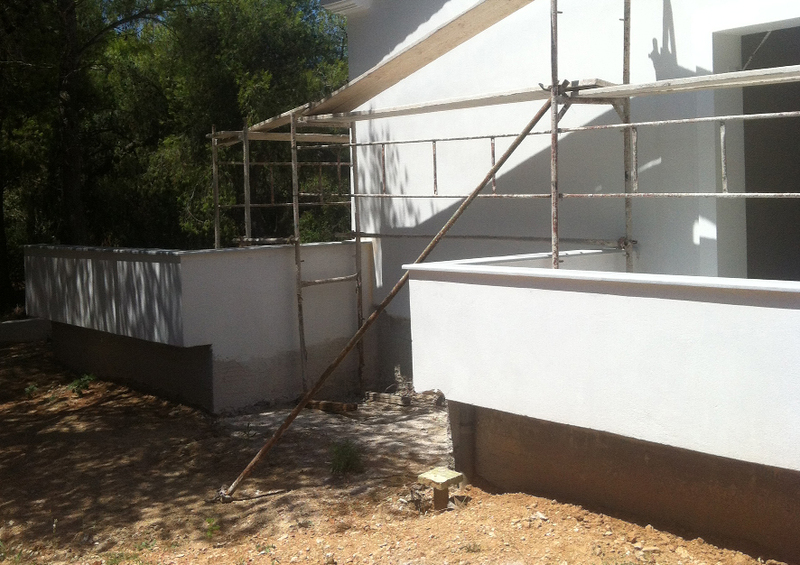 We have almost finished two house in the residential area of Thrakomakedones, Athens. This is a perspective of the yard next to a single floor structure. The veranda slides along the south elevation and exceeds equally with a private balcony towards the east.